California among states considering caregiver tax credits | We Stand With Seniors...Will You? So Gloria, 73, asked a friend to take Arthur out for a few hours one recent afternoon so she could grab a much-needed nap. She was lucky that day because she didn’t need to call upon the home health aide who comes to their San Mateo, Calif. house twice a week. The Browns, who have been married 51 years, have good medical coverage, but like most seniors, they live on a fixed income. 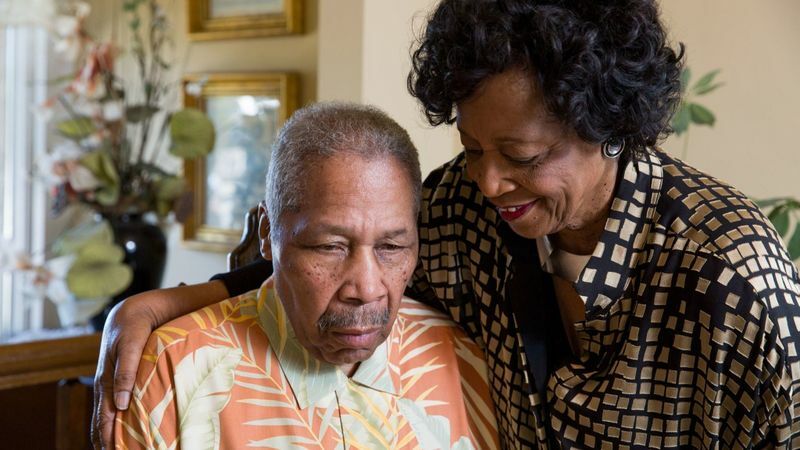 As her husband’s disease progresses, Gloria Brown expects costs to escalate. For instance, she wants to install bars in the bathroom to help prevent her husband from falling, and anticipates she will need more professional help. Patterson’s bill would provide up to a $5,000 state income tax credit to family caregivers for five years, starting in tax year 2020. They would be reimbursed for 50% of eligible expenses, such as retrofitting a home, hiring an aide and leasing or buying specialty equipment. The credit would be available to individuals who make up to $170,000 a year, or joint income tax filers who make up to $250,000. But the measure faces competition for a slice of California’s $21-billion surplus, from proposals by the governor and lawmakers to boost funding for education, healthcare, housing and dozens of other programs. For Pam Sogge of Oakland, Calif., a tax credit would allow her to hire a home health aide for an additional three hours a week. Her husband, Rick Sogge, 61, has early-onset Alzheimer’s and becomes frantic when left by himself. Sometimes when she leaves him alone in another room of their home, he searches for her every two minutes. Samantha Young is a correspondent for Kaiser Health News, an editorially independent publication of the Kaiser Family Foundation.